Although my hair is naturally straight, I suffer from frizzy locks. My penchant for bleach certainly doesn't help matters & I rely on heavy duty conditioning treatments to keep it from looking damaged. A lot of my strengthening products contain keratin which is a protein that your hair is actually made of. By adding more keratin to your hair you can smooth out the surface of the follicles which boosts shine, prevents breakage & fights frizz. I've always wanted to go and have a keratin treatment in my hair salon but they are very expensive & can take hours. God knows I spend long enough there getting my roots done! Not only that but traditional keratin treatments are known to be carcinogenic due to the use of formaldehyde. So the idea of an at-home keratin treatment was a lot more appealing to me. 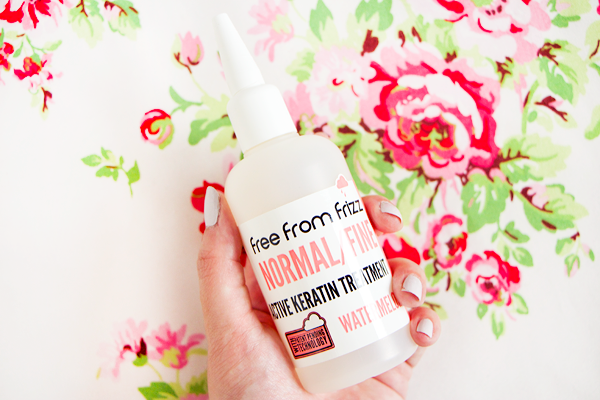 Free From Frizz have produced a safe & easy to use treatment that can keep your hair de-frizzed for up to six weeks. It is suitable for all hair types including coloured hair. You can even use it on hair extensions! They have a mango scented kit available for thick/coarse hair but as I have normal/fine hair I've been testing out their watermelon set. It's always been drilled into me over the years to never straighten my hair when it's wet so for the Blowout Kit to tell me to do the exact opposite felt really wrong. After rinsing the treatment out you then have to dry your hair again but still leave it a bit damp. Then you grab your hair straighteners, section off your hair & straighten each section six times! I hardly ever use straighteners or curlers because I know how much they can damage my already damaged hair so I was really worried about wrecking my hair. Nonetheless I proceeded with the treatment & went to town with the straighteners. It took ages to make sure all my hair had been straightened properly. This process left my hair feeling really dry with a horrible chemical scent. The real kicker is that you have to leave your hair like this for the next 48 hours to allow the product to 'fix'. The 48 hour wait is definitely the worst part of the treatment. During this time you can't wash or tie up your hair. You just have to smell a bit gross until you can finally get in the shower again. I'd suggest doing the treatment on a Friday night & hibernating all weekend. Then you can wash your hair on Monday morning & spend the rest of the day with your new beautiful glossy locks. 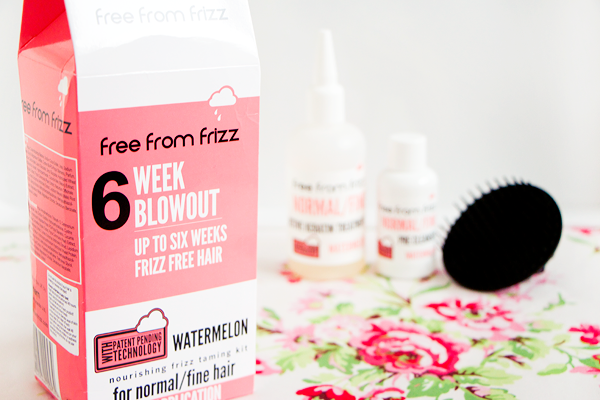 If you purchase the full treatment set you will also receive the Free From Frizz Blowout Shampoo & Conditioner. 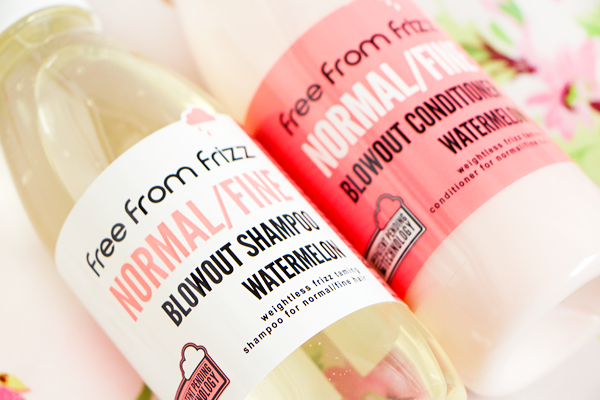 These frizz busting aftercare products will keep to keep your hair soft & healthy after the treatment. You can use these separately but their effects will be maximised if you combine them with the Blowout Kit. The watermelon products smell absolutely incredible! They're a welcome respite from the horrible eggy smell of the treatment. I love their packaging too. I remember spotting these in Boots & thinking they were drinks. 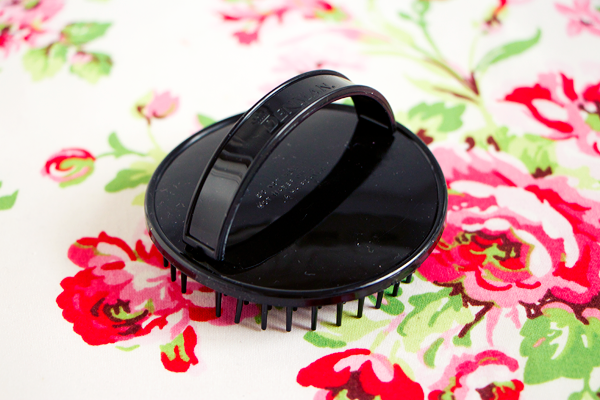 They'll impart a delicious fruity scent to your locks & keep frizz under control. They're great for dealing with humidity even if you haven't used the kit beforehand. When the 48 hours of hell were finally up I washed my hair using this duo. Even when I was just washing my hair I could immediately tell how much silkier it felt. Blowdrying my hair afterwards was quicker & easier than usual as I didn't have to use a rounded brush to work out all the kinks. Drying my hair is the bane of my life but after the treatment everything was left perfectly sleek & bouncy with minimal effort. And here are my results! I took these photos about a week after the treatment. I'm very happy with the appearance of my hair yet I still feel slightly conflicted about using the Blowout Kit. The treatment made my hair really soft & shiny. I don't think it's ever looked quite so glossy before. 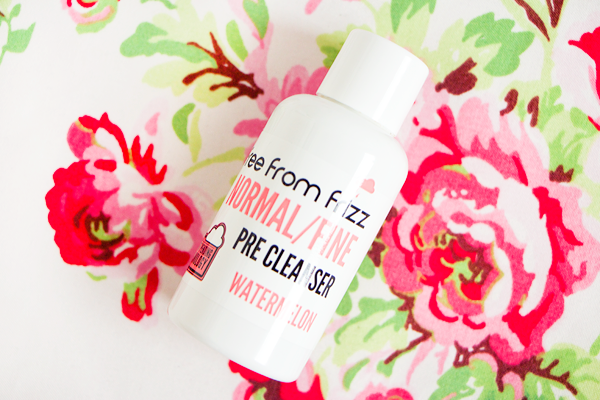 It definitely reduces the signs of damage & left my hair frizz-free for ages. I wouldn't say it lasted the full six weeks, more like three but I still think that's pretty good! The ends were left feeling rather dry though, probably from having to straighten my hair so much. 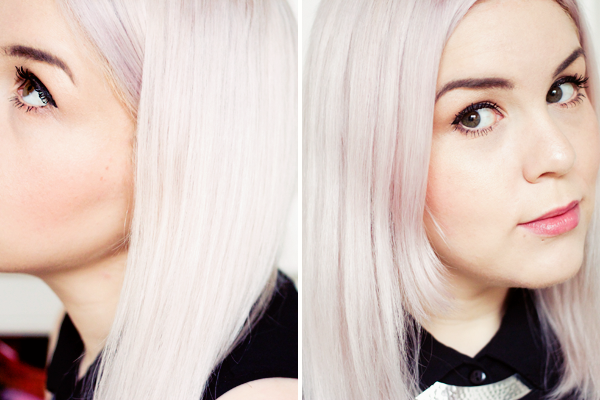 As my hair is already quite damaged from bleaching I don't think I would use the kit again. The excessive straightening really wasn't good for the overall condition of my hair even though the keratin treatment made it look healthier. However if I had natural hair I wouldn't hesitate to buy it again. 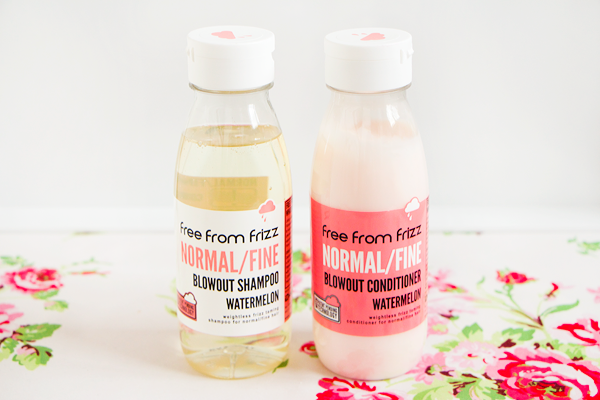 The shampoo & conditioner are really lovely so I'll continue to use them to reduce frizz & for that utterly gorgeous watermelon scent. 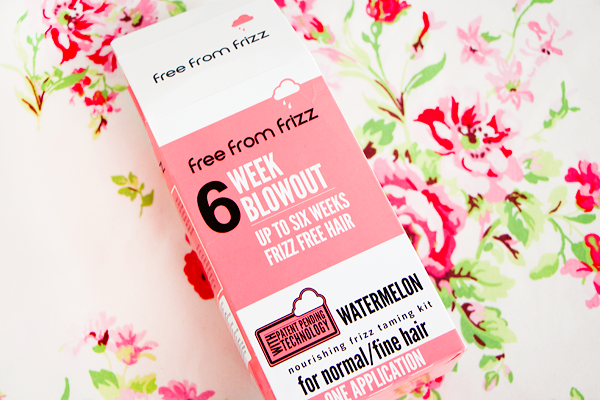 Have you tried any Free From Frizz products yet? Your hair looks so nice afterwards. My mum has very frizzy & curly hair (My sisters and I wind her up by telling her she looks like Debbie from TOWIE) I might have to show her this to have a try! Maybe she'll have good results too!